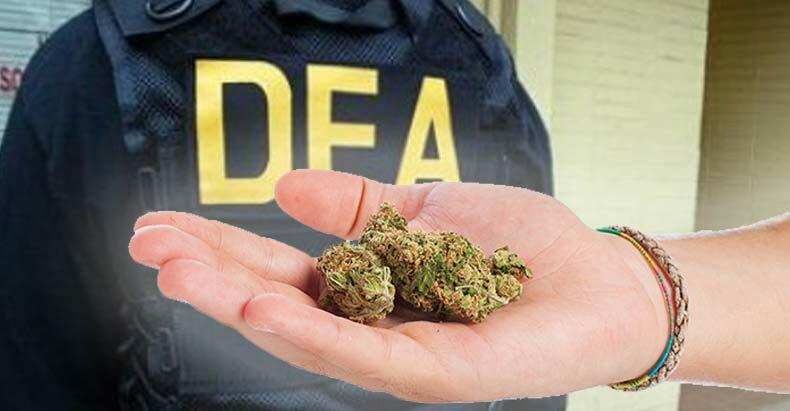 DEA Denies Petition To Reschedule Cannabis. Again. While many believed this could be the petition to reschedule cannabis and finally change the mind of the Federal Government and the DEA, sadly, it’s not. While many of us waited tirelessly for the decision to be handed down, there were talks of reform and possible full descheduling of cannabis, as it is now so widely accepted in many areas of the country. We should have known the rumors were too good to be true, as the DEA has officially denied the petition to have cannabis removed the list of Schedule 1 drug. The Obama administration has said it would do everything in their power to legalize cannabis before the end of their reign. Following the dismissal of this new opportunity to take steps in that direction, it’s clear this is just one more empty political promise. DEA Chief Chuck Rosenberg believes his administration has made the right decisions, stating that they based their decision is science. He also mentioned that because the FDA states that cannabis has no medical value in the United States and carries a high risk of abuse there is simply no way to reschedule it. This decision isn’t based on danger. This decision is based on whether marijuana, as determined by the FDA, is a safe and effective medicine, and it’s not. Might I point out, the FDA can’t state otherwise because the DEA has cannabis listed as a Schedule 1 drug, which by definition means it has no medical value and a high risk of abuse or dependency. What a vicious web of lies these government officials are spinning to keep cannabis out of our hands and protect their real agendas. The original petition was written by Rhode Island Gov. Gina Raimondo and Washington Gov. Jay Inslee, along with the help of nurse practitioner Bryan Krumm. DEA Chief Rosenberg wrote a letter to the group stating that it is doctors who are responsible for the welfare of their patients, but that the FDA is responsible for ensuring any drug treatments are safe, and clearly they do not view cannabis as a safe or effective treatment. Simply put, evaluating the safety and effectiveness of drugs is a highly specialized endeavor. Because the countless cases of sick and suffering individuals who have been healed by cannabis and CBD oils, especially in children, clearly mean nothing. The DEA says that they are not against the advancement of medical cannabis studies, and even say they’ve “never denied” an application from sources looking to conduct cannabis research, as long as they’re using lawfully produced cannabis. Tom Angell, Chairman of the Marijuana Majority, an advocacy group geared towards legalizing cannabis based on its majority acceptance, is very unhappy with the DEA’s decision. President Obama always said he would let science – and not ideology – dictate policy, but in this case, his administration is upholding a failed drug war approach instead of looking at real, existing evidence that marijuana has medical value. It’s unclear what will happen next, but as cannabis acceptance continues to spread throughout the nation, it’s only a matter of time until the federal government will be forced to take notice. Do you think the DEA and the federal government will ever reschedule cannabis? Let us know on social media or in the comment section below.